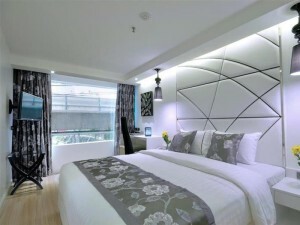 S Sukhumvit Suites Hotel is an extremely conveniently located three star hotel near Asoke BTS station. One of the most convenient guest friendly hotels in Bangkok, S Sukhumvit Suites has a direct link to Asoke BTS and is just a minute away from Sukhumvit MRT station. Rooms are clean and comfortable, with modern furniture and soft mattresses and pillows. Ask for a room on a higher floor to avoid noise from traffic and the Skytrain. 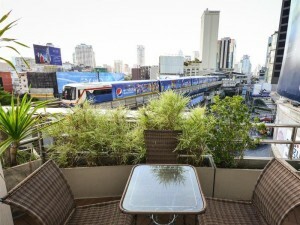 Great value in an extremely convenient location close to Terminal 21 and Soi Cowboy.